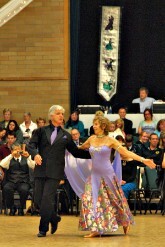 The ending to the solo waltz routine was described by the judges as tender and dramatic. 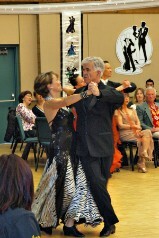 Nancy Slaght competing with Bob in Silver Foxtrot. 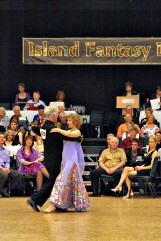 3 time BC Champion Young Ryu can been seen in the background competing with his partner at Pre-Championship level at the same time. 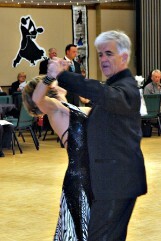 Nancy strikes the picture line that won her the Silver Tango.